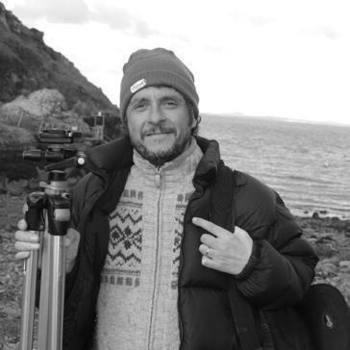 Acclaimed landscape photographer David Wilson lives in Llangwm with his wife Anna and two young boys Charlie and Harry. David's work captures his home county of Pembrokeshire and further afield, Wales. Photographing primarily in black and white he explores the landscape in search of stories: an abandoned farm, a remote chapel, a cottage at the top of a lane; all add a powerful narrative to his images. 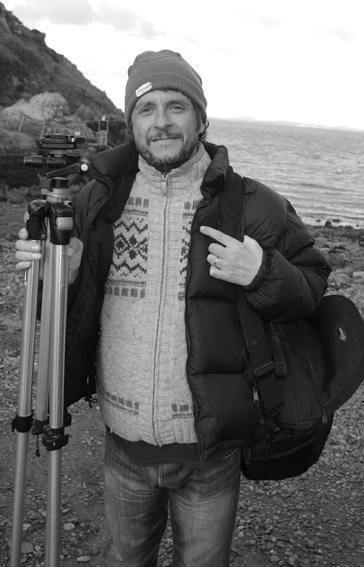 Author of two landscape photography books, 'Pembrokeshire' and 'Wales: A Photographer's Journey', David's work demonstrates his love and sense of awe for his native Wales. David will be talking to Jamie Owen on 12 August about his new book 'Hinterland' which shows the extraordinary landscape of Wales and gives an insight into the filming of the eponymous cult TV serial.